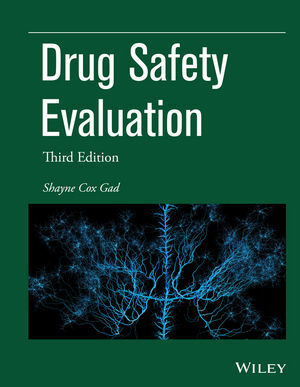 This practical guide presents a road map for safety assessment as an integral part of the development of new drugs and therapeutics. Shayne Cox Gad, BS, PhD, DABT, has more than 39 years of experience in regulatory toxicology, drug and device development, statistics, and risk assessment. He is Principal of Gad Consulting Services, a firm with eight employees and more than 500 clients worldwide in the pharmaceutical and medical device industries. He is Past President of the American College of Toxicology (ACT), the Roundtable of Toxicology Consultants, and three of the Society of Toxicology’s specialty sections. Dr. Gad received the 2008 ACT Lifetime Contribution Award and has authored or edited 47 books (10 with Wley) and more than 350 chapters, articles, and abstracts. Has preparated 110 INDs and 8 NDAs and teaches 3-5 professional education courses a year.